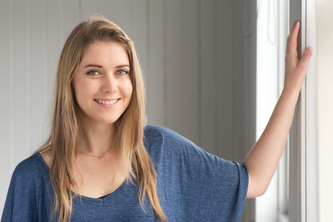 Webstock 2015 photos, taken at the Michael Fowler Centre and St James Theatre, Wellington, 16th-20th February. 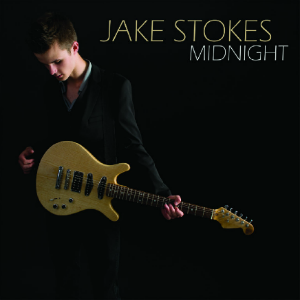 Music CD cover - Jake Stokes "Midnight"
It's been a pleasure working with this incredibly talented young songwriter/singer/guitarist. As well as shooting studio stills and live photos of his band, I've been working on the video for the single 'October Air', as DOP. 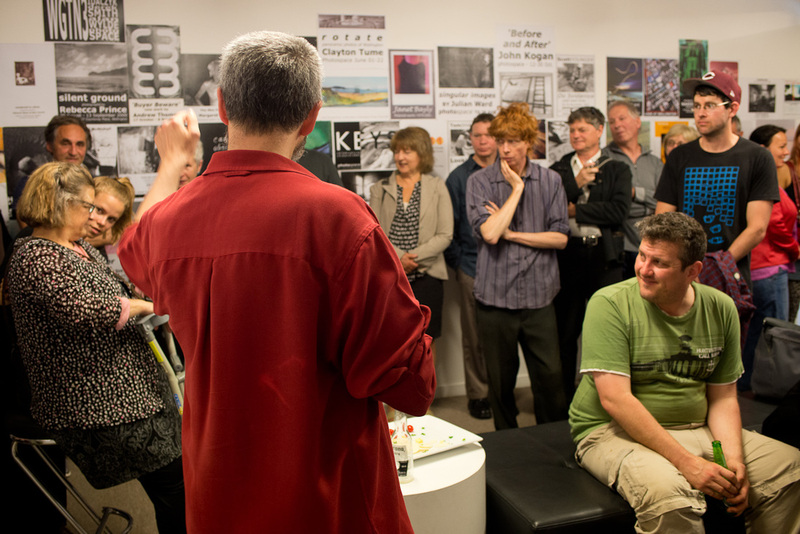 On Friday, December 6th, 2013, we celebrated the 15th birthday of Photospace Gallery. 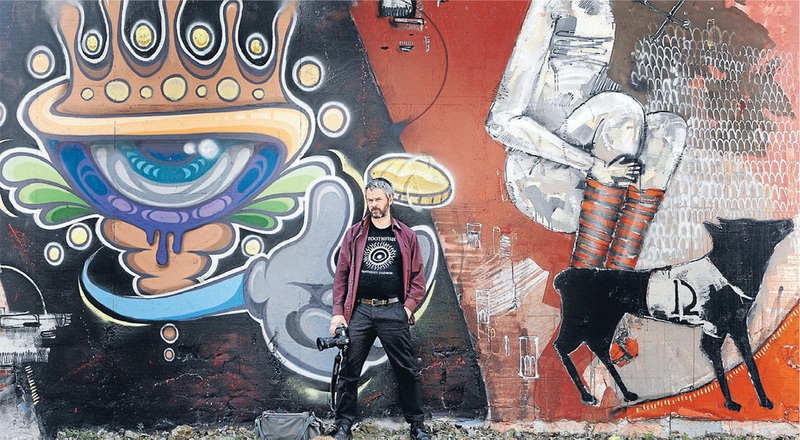 The main exhibition for this event consists of over 200 posters - a complete set dating from December 1998 when the gallery opened with an exhibition by Auckland photographer Kerry-Ann Boyle - "The Mortal Dress". 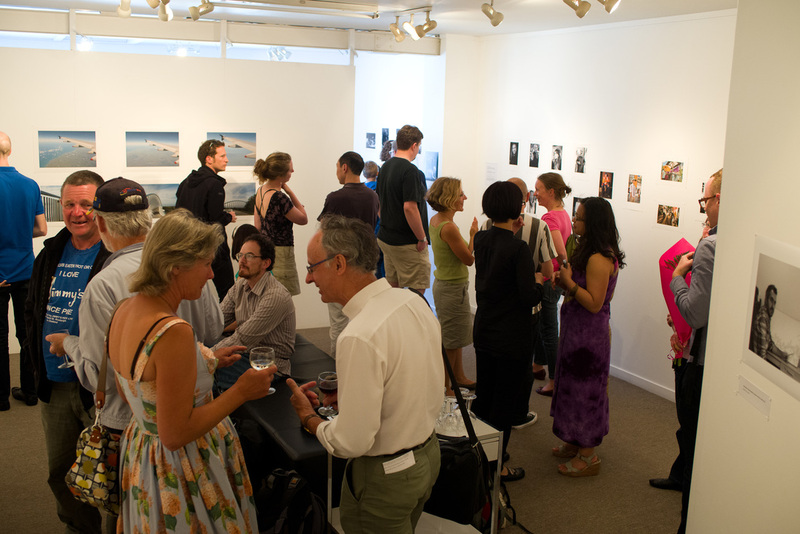 Photospace Gallery's 15th anniversary exhibition opening. Worked with Wellington musician Katie Morton to produce these images of a doll doused with blood and dirt for her CD 'Blurred' (by April Fish). We had fun shooting it. More somewhat bizarre photos by me here! You can listen here to 'Blurred', and buy the CD. Courtenay Studios is now available for portrait and commercial photography, head shots, product photography, artworks - pretty much anything that can be got up the stirs and through the door. 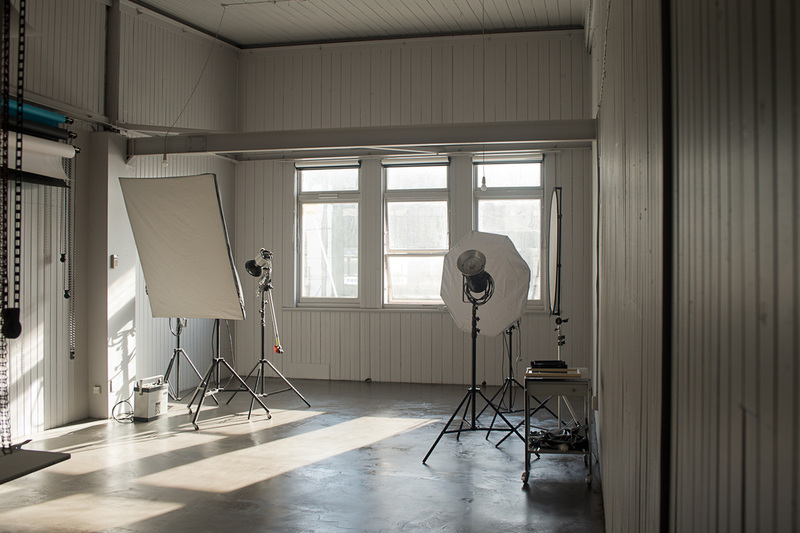 The studio and equipment is also available for hire to photographers, and for some other kinds of events. As you can see, it's actually only one studio, but the name (plural) comes from the photography business that operated out of this building from 1920 to 1932. Well known photographers C.S.Boyer and E.T. Robson took studio photos as well as covering events in Wellington and elsewhere. 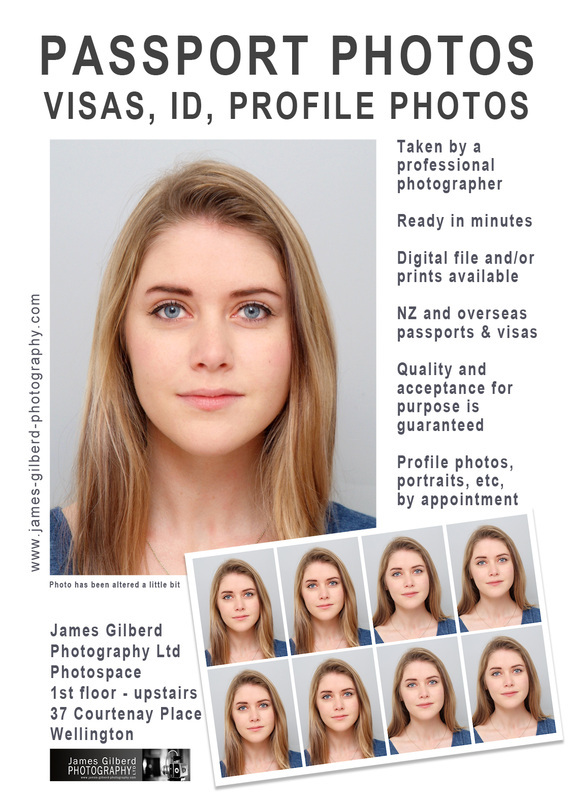 Passport photos - Katherine came in for one, and I asked her if she wouldn't mind modelling for this poster. 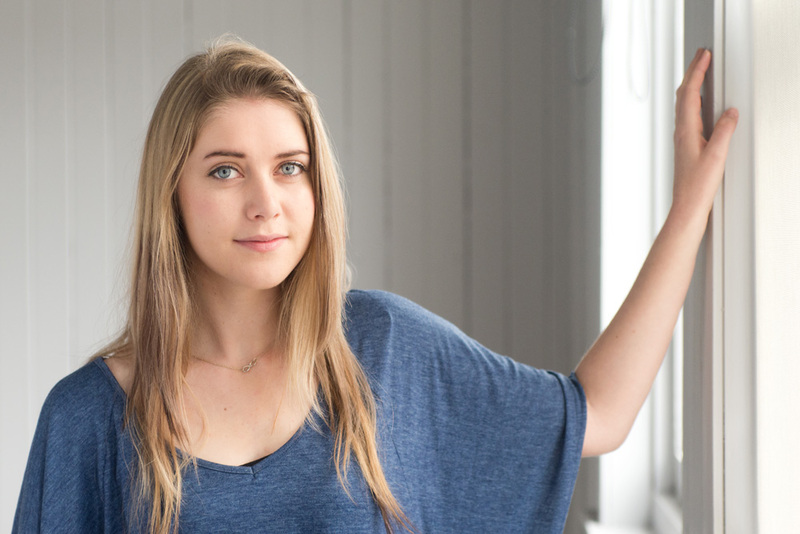 While we were on the job, I shot a few photos of Katherine in the window light of the new studio. BTW, Courtenay Studios is now fully operational and available for hire. 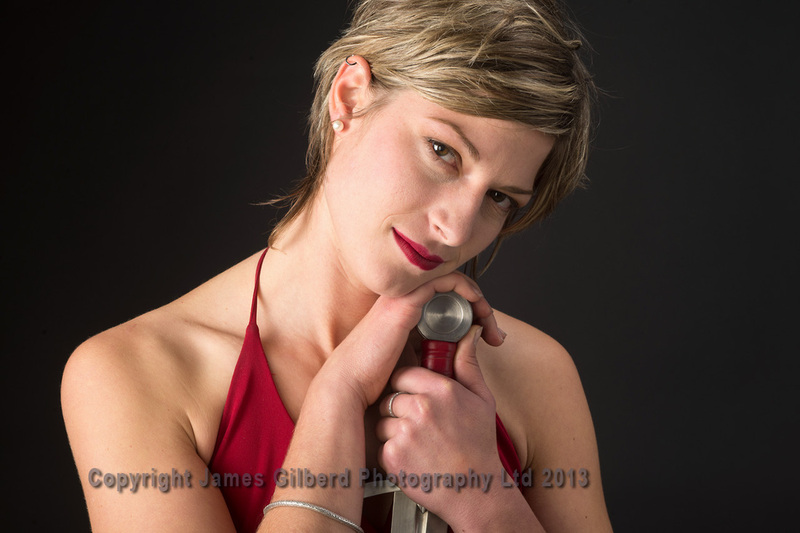 Samantha Swords photo shoot in the new photo studio. 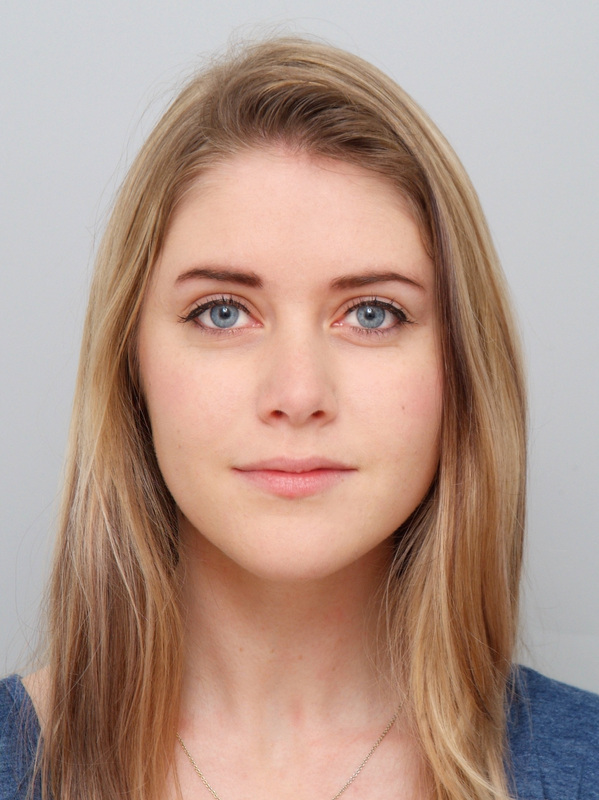 This image is unretouched (hasn't been Photoshopped). Samantha did this photo shoot the first day our new studio was ready, and a couple of days before she relocated to Canada. 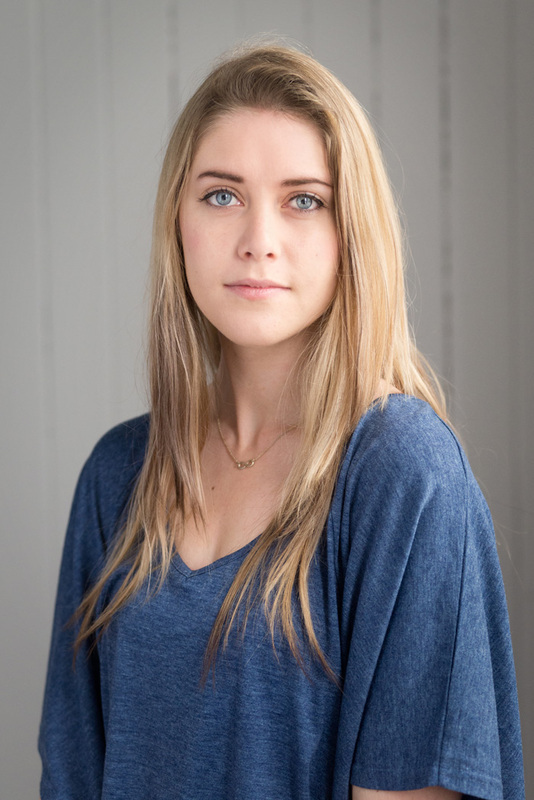 She works in the movie industry as a stunt woman and sword fighter. 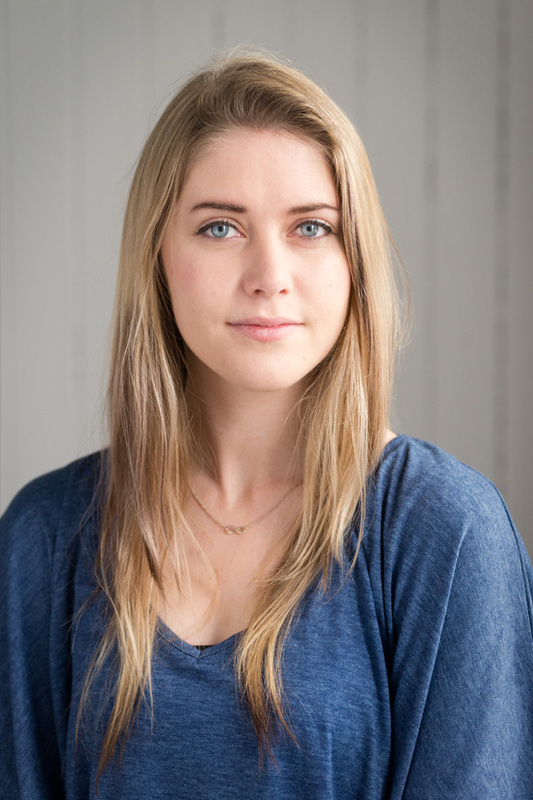 Thanks Claire for doing the make up and styling, and Samantha Catto-Mott for motorcyling through the rain to get here and for being a fantastic person to photograph. I have photographed Webstock each year it has run. It is a world-class event. For more photographs: Webstock set on Flickr. The speakers are all very dynamic and photogenic, but the challenge is to make the photographic coverage interesting and creative each time. The brief is to show the conference attendees, workshops and general goings on ( there was even a wedding during the conference!) as well as the action on the main stage. 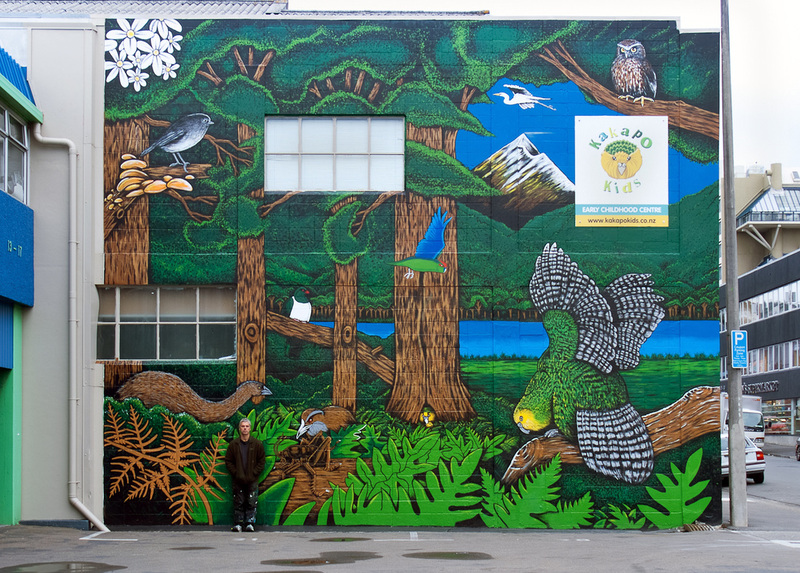 My selection: see slide show below. The numbers for each course and workshop are restricted to between 4 and 8, to make sure that each person gets plenty of attention, but also considering the importance of the group dynamic. The thing is to register your interest early, or possibly miss out. 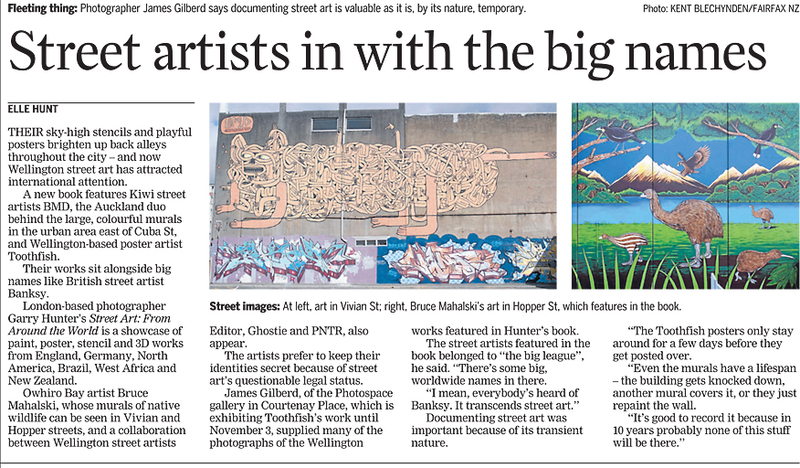 The book 'Street Art from around the world' by Garry Hunter has hit the UK and US market, and it contains work by NZ-based artists such as Toothfish and BMD. 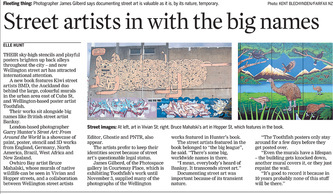 I took the photos for the NZ works, which are all in Wellington. See Stuff posting of article for more pics. Photos of the Toothfish animal masks, photographed in my studio in October 2012.